APHA is proud to boast members from all over the world! From English speaking countries like England, Ireland, Australia, New Zealand and South Africa, to countries where English may not be the first language spoken, like Spain, France, Israel, Russia and the Philippines. *Please note: to be eligible for a PACE International membership you must live and work outside the US or Canada. Resources are provided in English only. 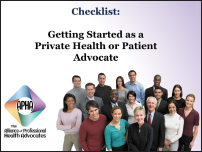 Learn more about patient advocacy as a career, including educational opportunities. Since many of the educational opportunities are available online, you may find they can work for you. Find resources for business planning, health advocate liability insurance, business formation, marketing, client services, and more. Network with others through the APHA Discussion Forum: from advocates who are already working with patient-clients, to those who are just thinking about the possibility, to those who have just begun putting their practices together. Listen to podcasts of Expert Teleconferences (telephone call-in programs) on a variety of topics. Tap into our network of advisors who can help you learn more about building a business, forming your practice, acquire your insurance, develop marketing strategies, creating niches and more. 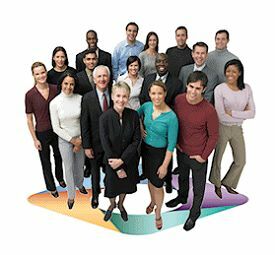 Join Special Interest Groups like Medical Billing and Claims, Physicians as Advocates, Lawyers as Advocates and others. Receive discounts and special offers from APHA partners. Be alerted FIRST when new opportunities are offered from outside groups and vendors. 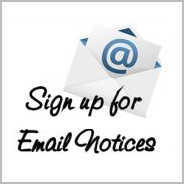 Receive weekly tips and updates about advocacy business practices, the career itself, and the APHA site through Monday Member Mails. See a master list of benefits compared to other APHA membership levels. There is no better investment in your career exploration. *You must reside outside the US or Canada to be accepted as a PACE International Member. Please note that all resources are provided in English only. will help your future clients understand why working with you is so very necessary. Practice UP! presents the most in-demand topics and makes them easy to understand.